A couple tips for new IRIS+ users but also applies to any APM or Pixhawk user using 3DR radios. Hello and happy new year for all of you. The "balloon" around the rotors is for storage only. You can open the upper part and put up to X batteries in it. Market Survey/ What is needed? Looking for feedback from the community. We currently build unmanned vehicle for military and commercial applications in the USA. Our current commercial units are obviously very similar to the consumer drones. What if any features are community members looking for in a RTF consumer drone? UgCS is used by Santa's present delivery service! We would like to thank you all for being with us, using and commenting on our ground control software. Your feedback helped us greatly. During this year the number of our Beta testers and users of Open version rose from few to more than thousand. Most of them members of DIYDrones community. Trying to make money with a drone can be costly, as one Montreal man recently found out. I want to share some results of comparisons between different GPS modules as well as different approaches for geotagging and stitching images based on APM:Copter log files. CAM_TRIGG_DIST (blue) vs. adjusted coordinates (green). Stitching is based on corrected coordinates. Le Poste in France, and Deutsche Post in Germany using Drones! No hard to see Europe is far ahead in their small Drone programs for Civilian use! The French post office has launched a programme to use drones to deliver parcels in all weathers up to 12 miles away. 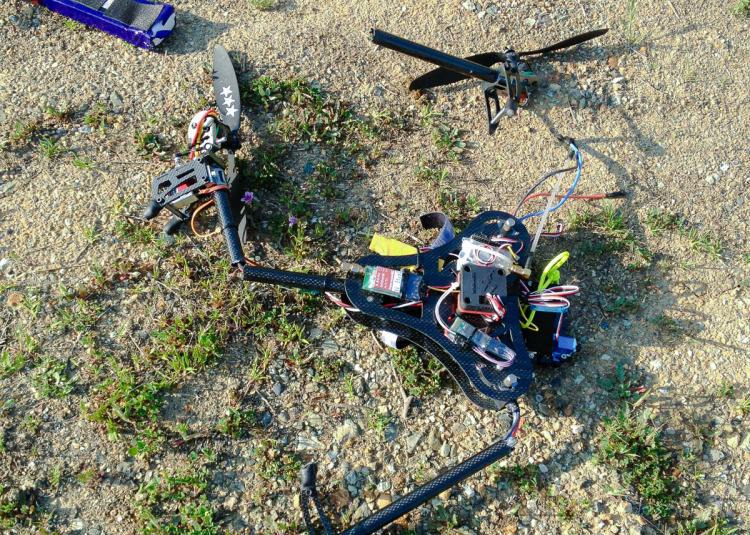 How to Crash your Drone in 30 Seconds…….Or hopefully not with a little bit of information. Did you guy's see this? Merry Christmas to ALL!